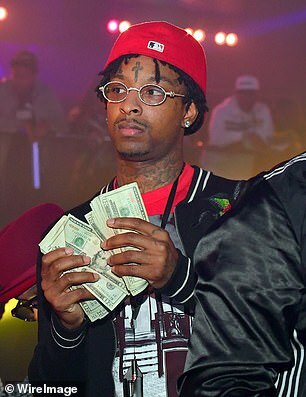 Atlanta rapper 21 Savage, who is now facing deportation to his native UK, was driving in a reckless manner and had a loaded handgun in the glove compartment at the time of his arrest last weekend, it emerged today. 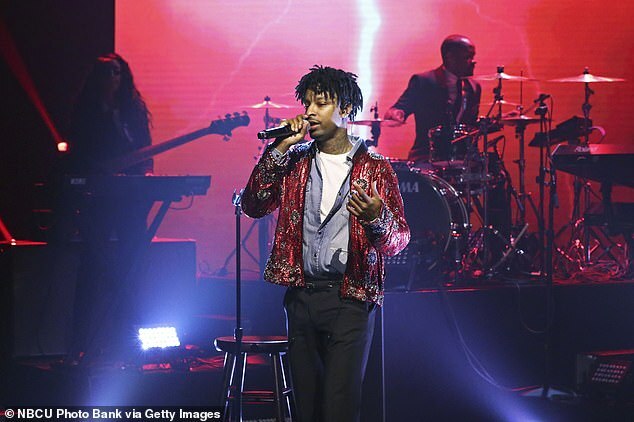 As TMZ first reported, citing police reports related to the February 3 traffic stop in Atlanta, the Grammy-nominated artist, born in England with the given name Sha Yaa Bin Abraham-Joseph, was behind the wheel of a red dodge Challenge when he came close to crashing into a marked cop car. 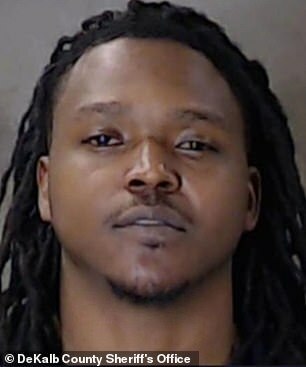 According to the documents obtained by the gossip site, responding officers ordered Abraham-Joseph to stop the car and throw his keys out the window, which he did, along with a bottle containing an unknown liquid. The rapper's 2018 track 'Not All Heroes Wear Capes' includes a track titled 'Glock,' in which Abraham-Joseph talks about having a Glock hanging from his waistband. 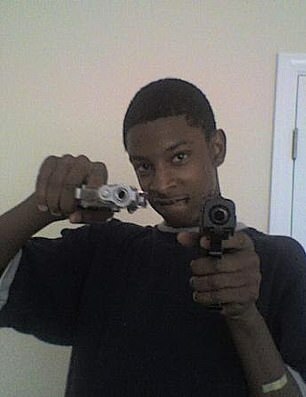 The British-born artist also often poses with firearms in photos appearing on social media. ICE spokesman Bryan Cox said on Sunday that the rapper was put in deportation proceedings because he has been living in the US illegally since 2006 and has a felony conviction. 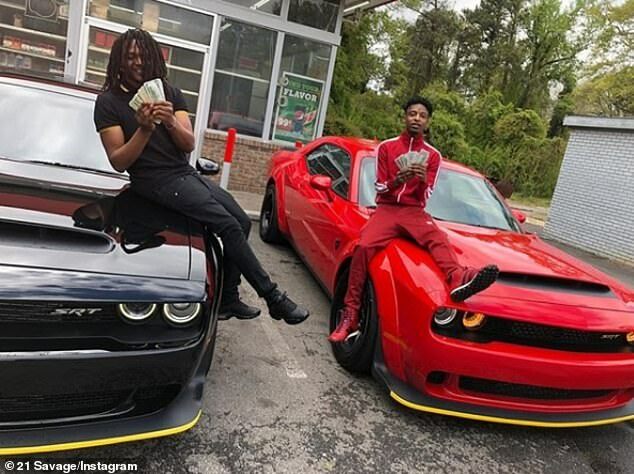 According to the police reports documenting Abraham-Joseph's arrest, the target of the multi-agency sting operation in Atlanta was another rapper, Young Nudy, who was in a different car driving alongside the red Dodge. Law firm Kuck Baxter Immigration released a statement earlier this week saying US officials have known about Abraham-Joseph's immigration status since at least 2017 when he sought a new visa, and while that application is pending the rapper should not be subject to detainment. Alex Spiro, the New York attorney who at one time represented rap mogul Jay-Z, has taken on Abraham-Joseph's case at his famous client's request this week. 'The arrest and detention of 21 Savage is an absolute travesty, his U visa petition has been pending for 4 years,' Jay-Z posted on Facebook. The rapper's legal team said earlier that he arrived in the US at age seven, staying there continually for almost 20 years except for a brief trip to Britain in 2005. 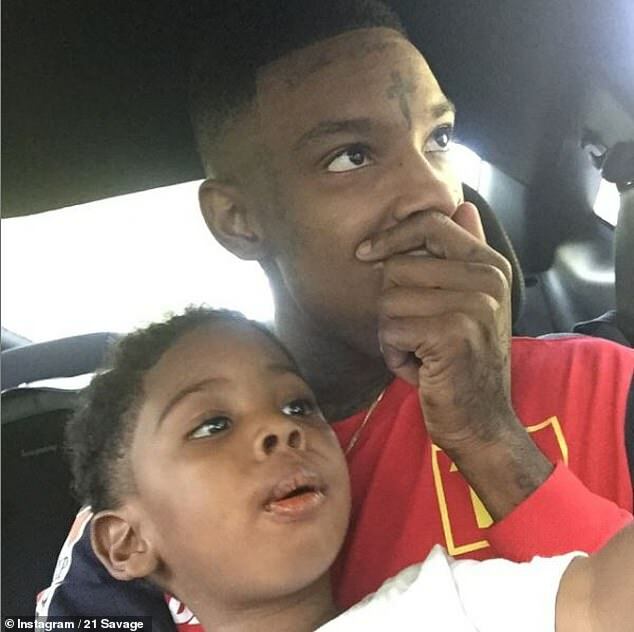 'In addition to being a successful recording artist, 21 deserves to be reunited with his children immediately,' Jay-Z said.